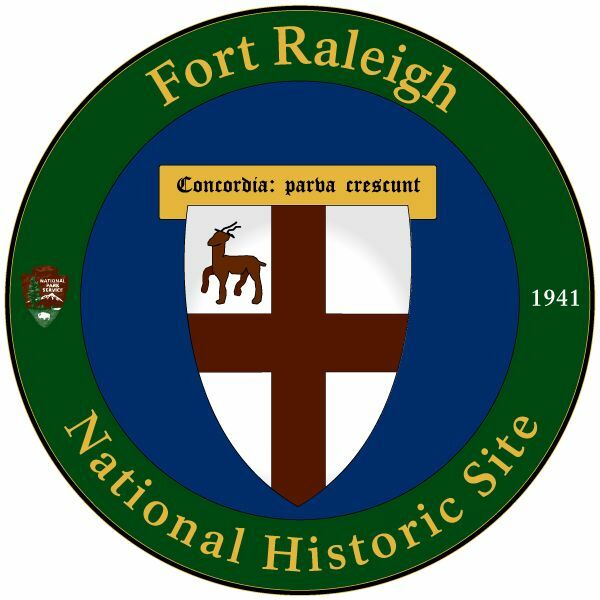 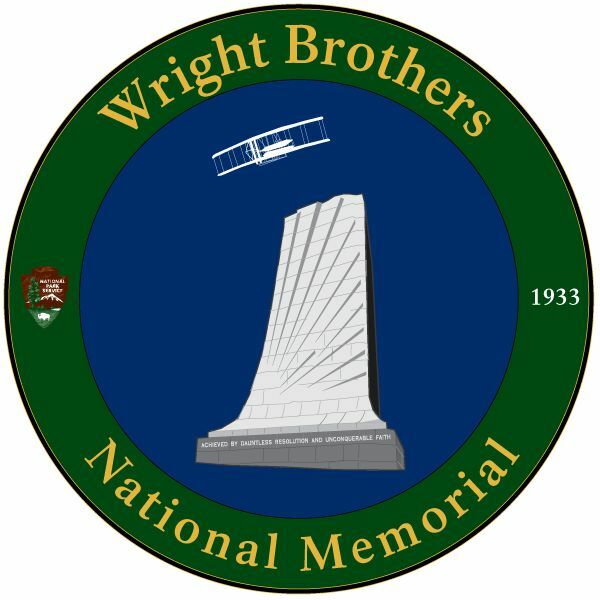 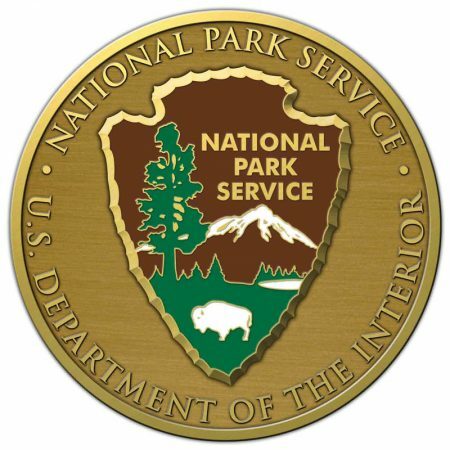 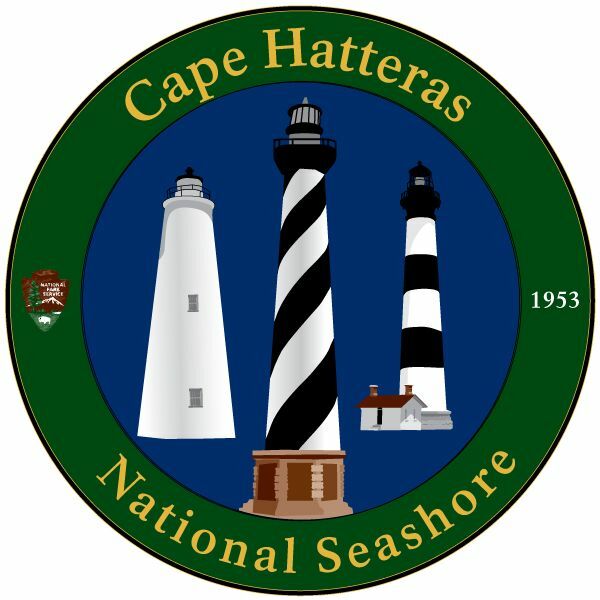 The National Park Service Outer Banks Group consists of Cape Hatteras National Seashore, Wright Brothers National Monument & Fort Raleigh National Historic Site. 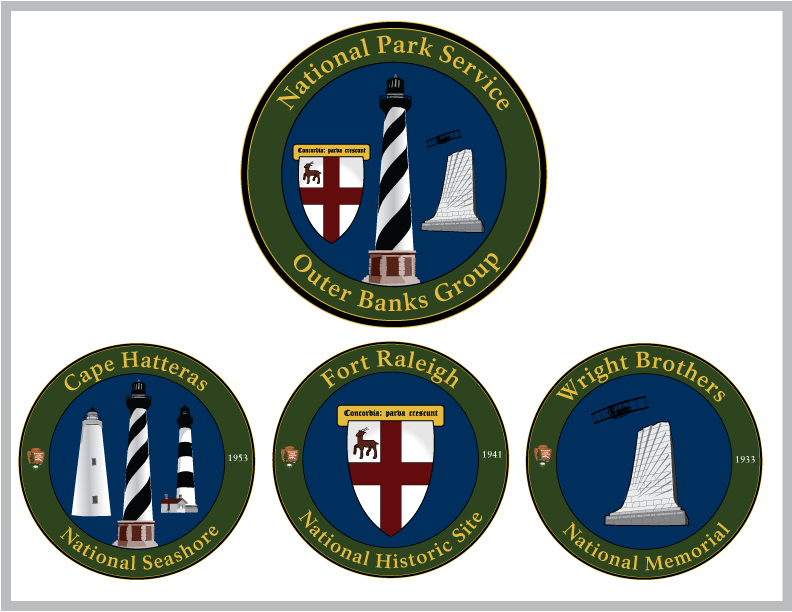 Bold Print Design Studio was commissioned to create a set of four logos for the Group – one for each of the three parks, and one with elements of three parks, together. 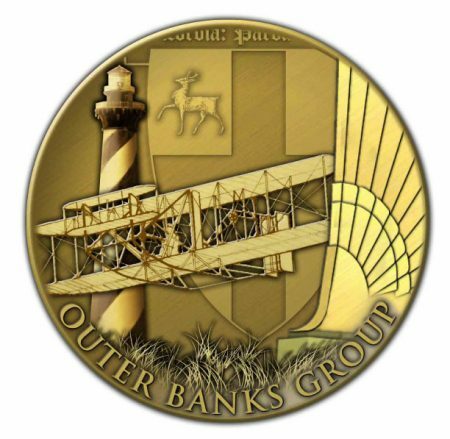 Additionally, we created the design for a coin, and oversaw the process of producing the coin for use by the parks. 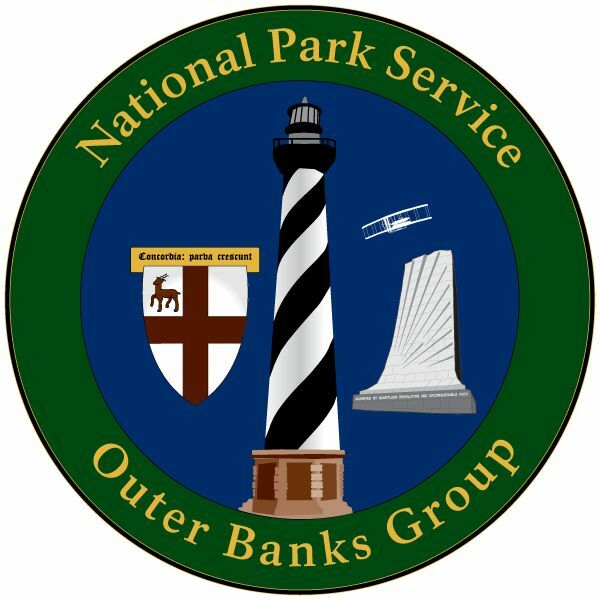 We also designed a ticket for entrance to the Bodie Island Lighthouse.